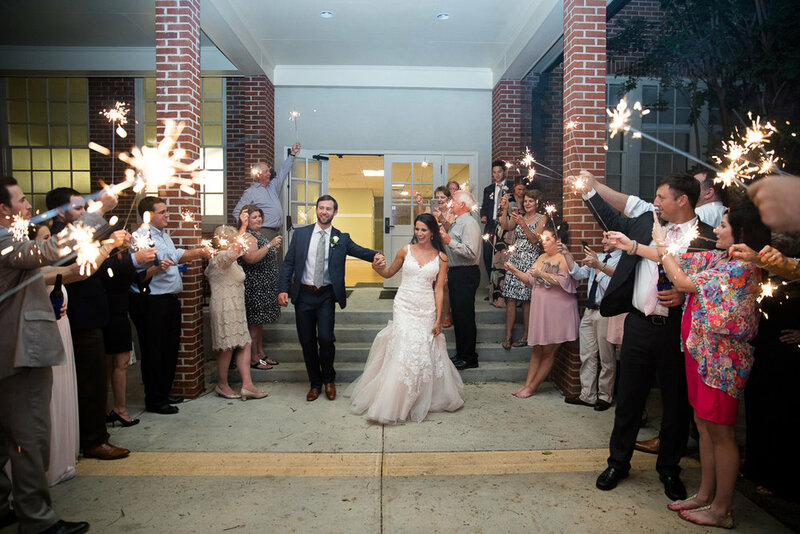 Last June, Jonathan and I traveled down to the beautiful town of Ocean Springs, Mississippi to celebrate with Lauren and Kyle as they said "I do." Y'all, Ocean Springs is one of our favorite funky, fun loving, creative and boisterous Gulf Coast cities. It's PRETTY. 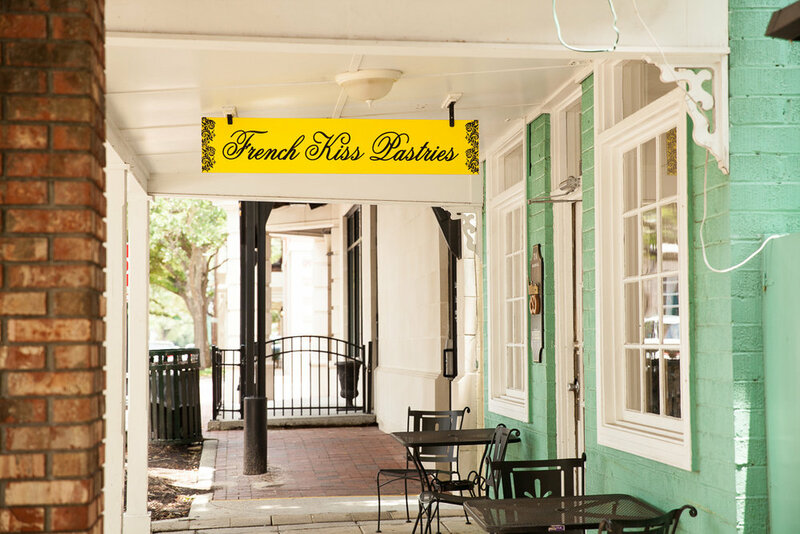 It has old, shady, narrow streets lined with live oaks and colorful shops. It has amazing restaurants. It has BEACHES. It has some of the best bed-and-breakfast inns I have seen in Mississippi! So not only did Jonathan and I have a WONDERFUL time photographing this precious wedding (even though Tropical Storm Cindy tried to drown us all!) we had a fantastic getaway weekend as well! So THANK YOU, Lauren & Kyle and Ocean Springs! Isn't The Roost the prettiest little hotel? 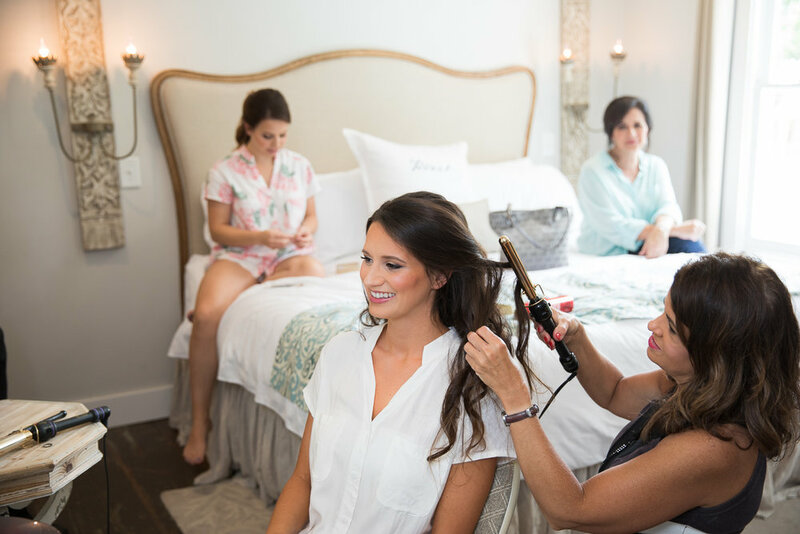 Lauren and her family and friends spent the morning at the beautiful Roost Boutique Hotel in Ocean Springs. This lovely B&B was such a sweet, serene place for them to get ready for the day! 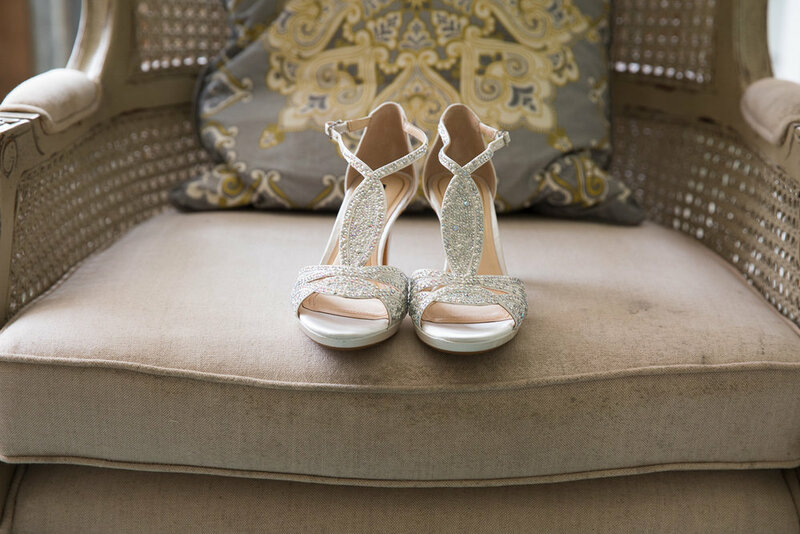 And it was so much fun to photograph her pretty details at this unique venue! Oh my gosh. THIS DRESS! 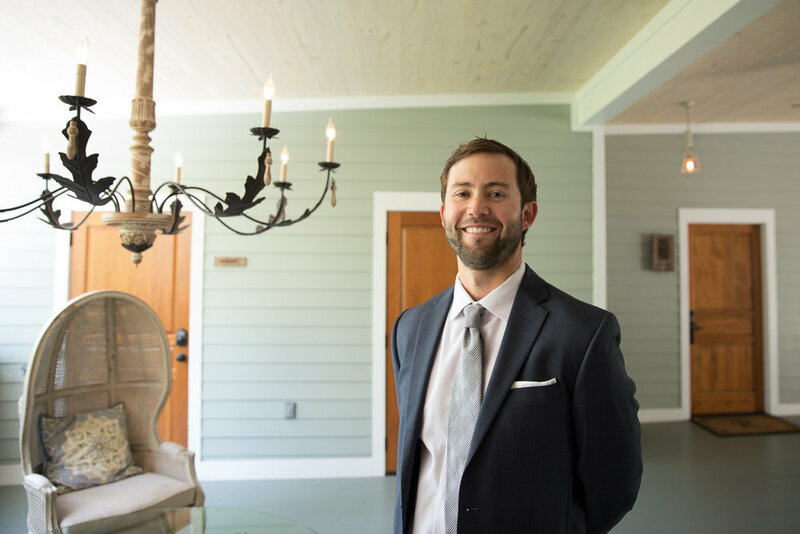 Kyle and his family stayed at a VERY cool antebellum style vacation rental home just across town, on the edge of the water. It had such amazing views....and amazing live oak trees! Doesn't Kyle look at home on this amazing porch? I mean. Just LOOK at this backyard! I'd love to stay here! Kyle traveled over to the Roost so he and Lauren could have a sweet First Look moment together. Ocean Springs knows how to do porches right, y'all. Lauren LOVES the gorgeous old live oaks that define the natural beauty of her hometown, so incorporating them into her and Kyle's couple portraits was a MUST for me! Since most of the ground was still covered by standing water due to the tropical storm, we had to get creative about our locations! But you don't have to look hard in Ocean Springs to find lovely portrait spots! 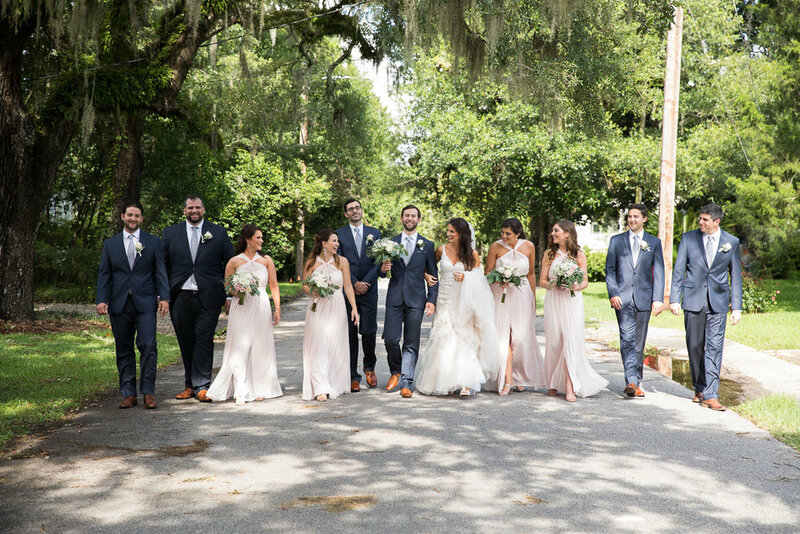 I loved the combo of blue suits with light blush gowns for Lauren and Kyle's wedding party! Take a peek at these precious romantic bouquets by The Fountain Events by Chez Charles! 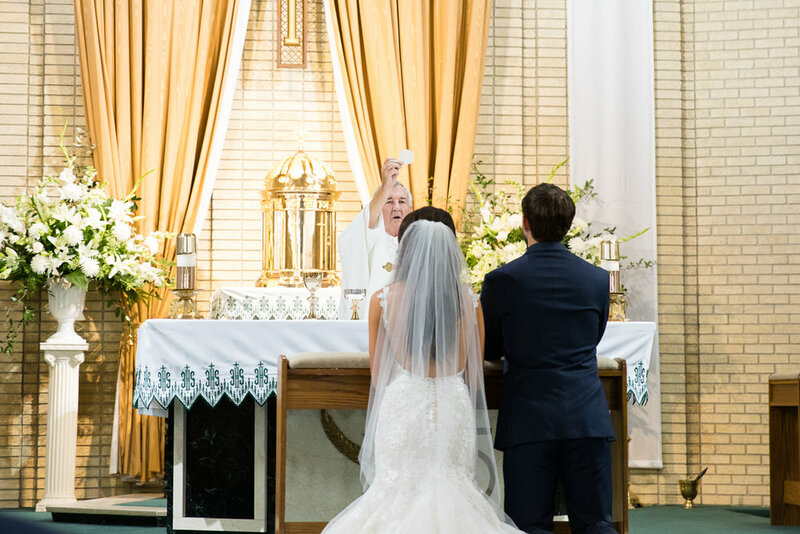 Lauren and Kyle had a beautiful, BEAUTIFUL six o'clock ceremony at St. Alphonsus Catholic Church on Jackson Avenue, officiated by Father Farrell and Father Snyder, and attended by their families, friends, and loved ones. Their wedding ceremony was truly precious and sacred. Before Lauren and Kyle hopped into the party bus to head to their reception in Biloxi, we took a few more quick Bride and Groom portraits. Y'all, they were so sweet and gave me a few extra minutes to run (actually RUN) to our car to grab an umbrella .... even though it wasn't ACTUALLY raining! 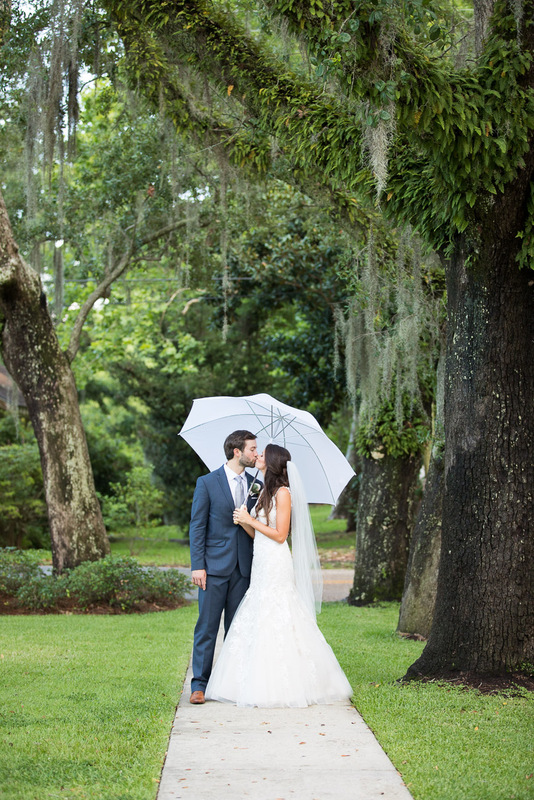 I just had to break out an umbrella for at least one portrait - it was my way of commemorating how Tropical Storm Cindy couldn't put a damper on this precious couples' beautiful wedding day! And I think the umbrella portraits of some of my favorites from the day! The brand new Mr. and Mrs. Rademacher! 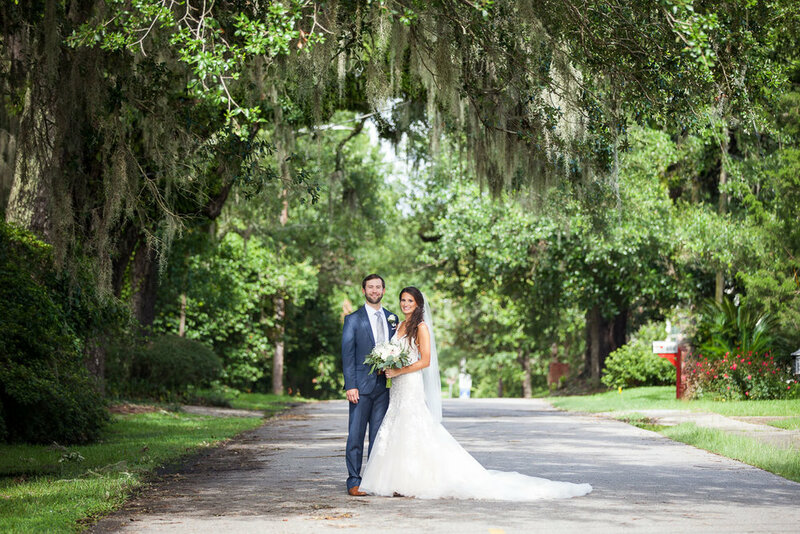 Live oaks + Spanish moss + a newlywed kiss = pure romance! 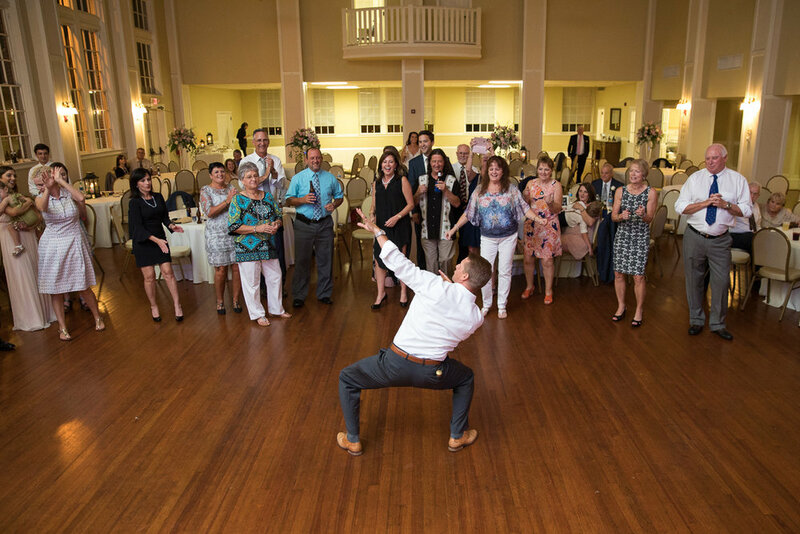 Gulf Coast people are FRIENDLY, y'all, and they know how to celebrate! 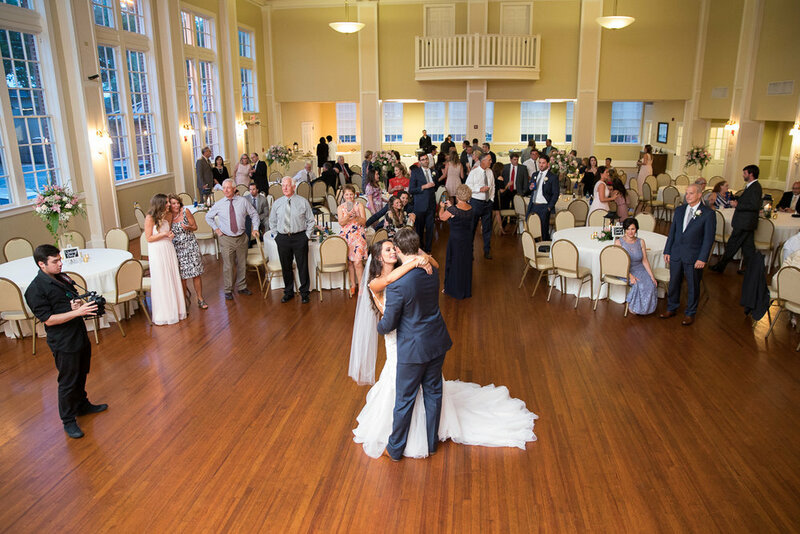 Lauren and Kyle's reception was held at the Sacred Heart Parish Life Center in Biloxi, and it was an evening full of delicious food, laughter, great music, and the dance floor was never empty! That's my favorite kind of night! How beautiful is this cake by Nita Lee's Cakes?? 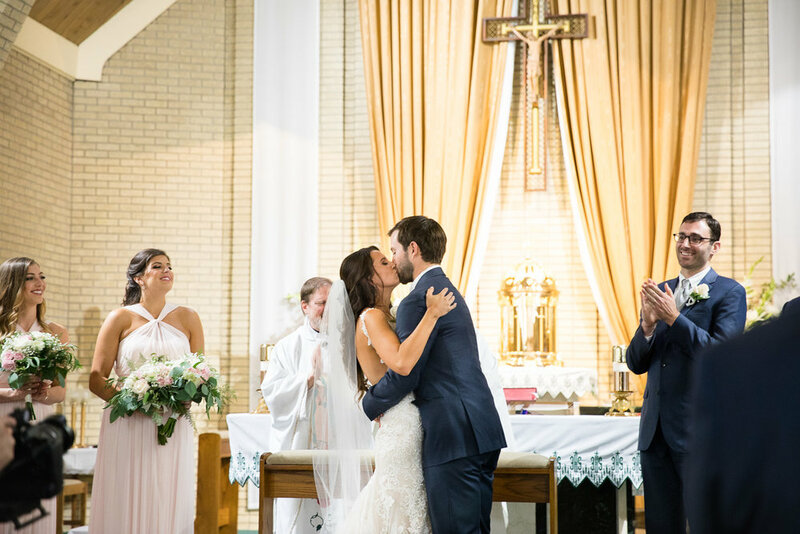 Congratulations, Mr. and Mrs. Rademacher!! It was a beautiful day, y'all. It was a SUPER FUN night! And you know what was the best part? We got to wake up in Ocean Springs the next morning, and spend another day soaking up the fun, laid-back, artsy culture. Plus we ate lots of amazing seafood. I'm not even going to lie! SHRIMP! Because eating whatever I want the day after a wedding is one of my favorite things. And guess what is the BEST best part? 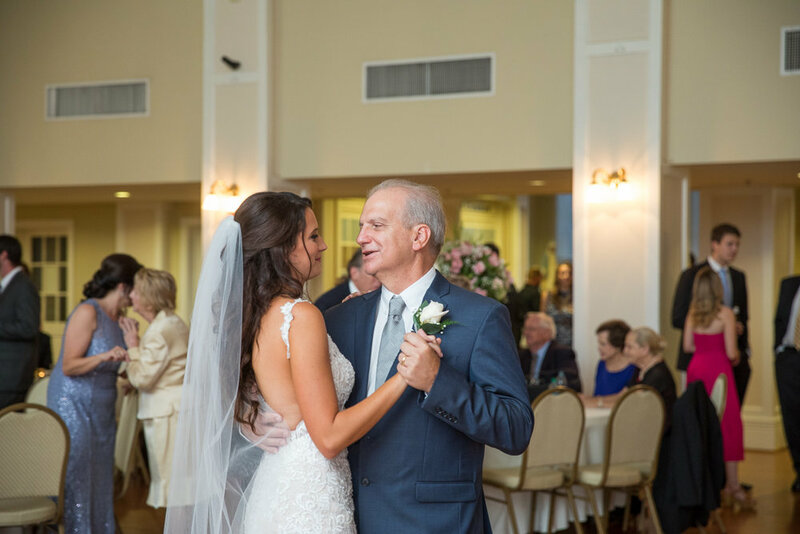 This May, we're going to celebrate with Lauren's sister Lindsey and her groom Alex when THEY celebrate their happy day! I can't wait to spend another weekend in this beautiful, friendly Gulf Coast town! See you soon, Ocean Springs!